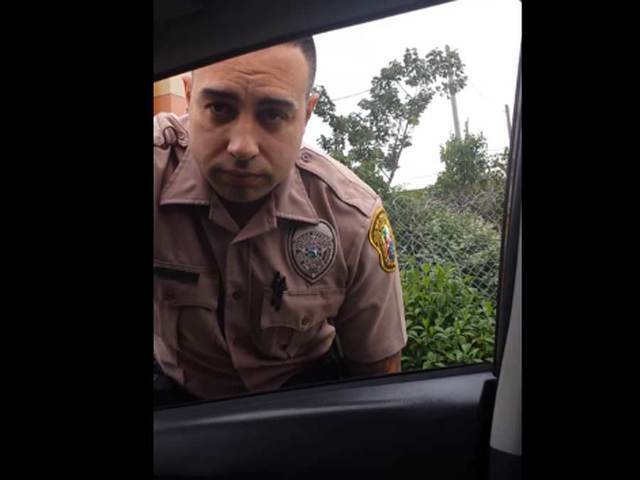 An interesting traffic stop occurred recently in Miami that's making national headlines. In a series of three videos posted to YouTube on Friday, it shows a female driver pulling over a Miami-Dade officer that she says was traveling at a high-rate of speed for miles. The female driver, Claudia Castillo, recorded the video and conversation with the officer on her cellphone. Castillo said on the video that the officer was driving recklessly at speeds of 100 mph, and she had trouble keeping up with him while she drove at 80 mph. She said she honked and flashed her flights to get his attention a few times, but he kept driving. After she followed him into downtown Miami, the unidentified officer finally pulls over at the Port of Miami exit. “The reason I pulled you over today is because I saw you, since Miller Drive when you were first jumping onto the Palmetto [Expressway], and you were pushing 90 mph,” Castillo said to the Miami-Dade officer. In the video, the officer said he was on his way to work and said he doesn't believe he was speeding. He asks Castillo if she is OK, politely apologizes and said he'll slow down.